We provide a range of fun and active lunchtime and after school clubs available for all year groups here at the Palace for Life Foundation. Lunchtime clubs include Gifted & Talented; Healthy Stars; school team training and the running of multi-sport tournaments. After school clubs include football, basketball, athletics, netball, multi-skills for KS1 and multi-sports for KS2. 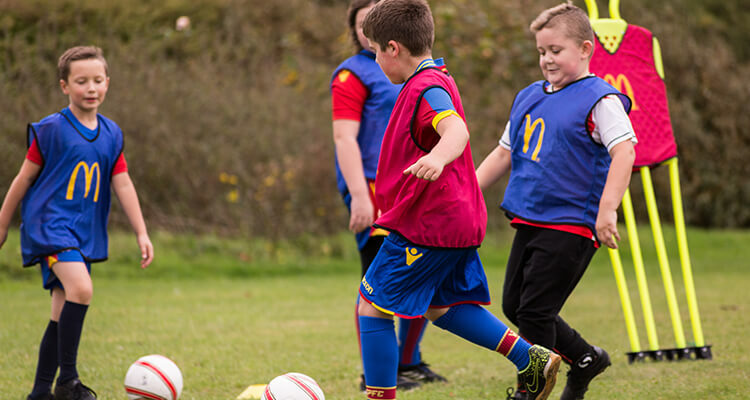 Clubs can be mixed or gender specific and are delivered by FA-qualified coaches for pupils of all levels and abilities, with an emphasis on engagement and fun! All primary schools within the boroughs of Bromley, Croydon, Sutton and Tandridge District. For more information, please contact our Primary Schools Programme Manager, Sam Bacon.